It is more difficult to ruin your smile if you have regular check-ups with your favorite dentist. Best to avoid them altogether if your goal is pure chaos and painful destruction. 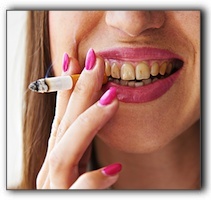 I know many people have difficult struggles with oral health and lack smile satisfaction. That’s why I’m here. I am David Powell of https://www.jordanlandingsmiles.com/services/. If you are experiencing dental problems, schedule a consultation today. I look forward to creating a plan to restore your oral health and the beauty of your smile. To find out the price of braces, the price of veneers, the cost of teeth whitening, or the cost of a dental crown, call my practice at 801-280-6911.